This is another of the Ruth Galloway novels that I like so much - I reviewed the last one here. 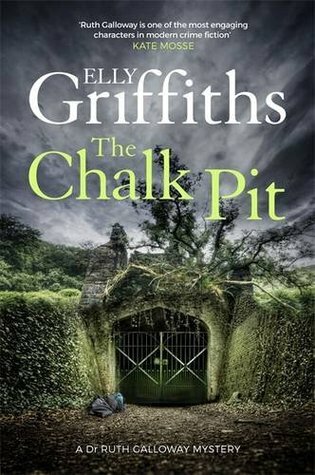 I didn't like the previous one, The Woman in Blue, as much, but I felt like The Chalk Pit was a lot better. I read it quickly because the plot was a lot faster than before, definitely a return to the earlier books in the series. Ruth is asked to look at some bones in an underground tunnel that is being developed as some kind of high class precinct with restaurants and stuff. She thinks the bones are modern and also that they've been boiled in a pot, giving them a polished look. 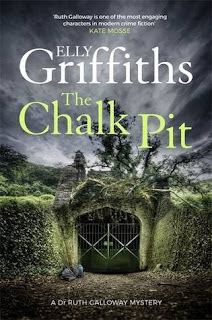 Meanwhile the police are told about a homeless woman who has gone missing, and begin to uncover a whole underground world in the tunnels beneath Norwich. Like I said I felt like this really returned to form and I'm hopeful the next one will be too. I really like these books - Ruth is a very likeable if somewhat unlikely heroine, and I love her.